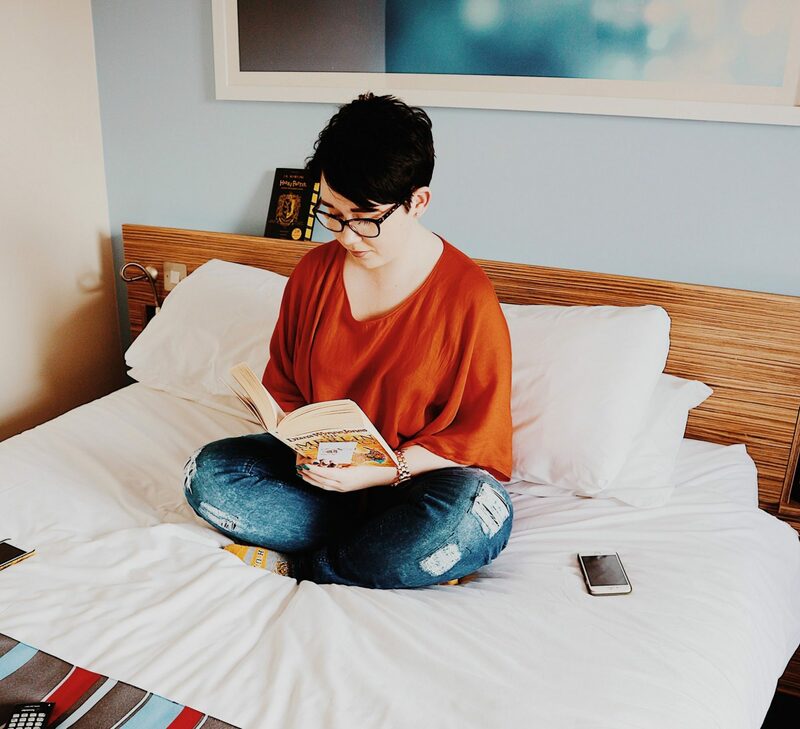 One of the most common questions I get asked is how I edit my blog and Instagram photos, and today I’m finally getting around to talking about it. Only 5 months later than planned! Back at the beginning of the year, I decided that I was getting fed up of my current photography style. It wasn’t at all what I wanted to be doing; it was all flatlays, cool tones and overexposed images – none of which is very “me”. Yet I carried on doing photos this way as I felt pressure to fit into the conventional blogger style, rather than be myself. I thought that if I did things the way I wanted, people would unfollow me on Instagram and stop reading my blog as much. Ever since I switched over to taking and editing photos my way, I’ve had an endless number of compliments from people who love my new style; especially on Instagram. I’ve grown by over 1,000 followers since I switched over to my own style of photography, and many people have said they follow me because they love the “cozy” and “autumnal” feel of my feed. Since making the switch, I’ve fallen back in love with photography again and even though I’ve got my issues with Instagram (who hasn’t these days), I’m enjoying just posting because I love the photo. I get asked all the time what I apps I use to edit my photos, and the honest answer is that I only need to use one! This is an amazing app that I wish I’d found sooner – and best of all, its free! As is common these days, there is also a paid for version available; if you want more presets then you can unlock all of them in a yearly subscription called VSCO X, which costs $19.99 at the time of writing this post. I don’t have this personally, as the one I use is “M5” and is included in the free section. 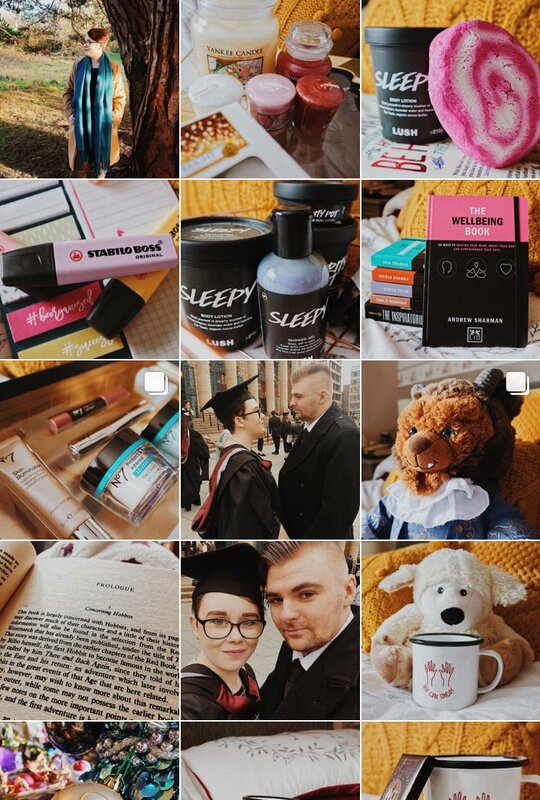 It’s a really lovely warm toned filter, and combined with my mustard pillow (which I include in pretty much every photo I take) and white bedding, it gives my photos a really lovely feel without looking over edited. You can increase the level of the preset too, so if you don’t want it to be too intense, you can just click on the preset again after picking it and adjust the sliders to fit your needs. Once you’ve picked a preset, you can then go on to edit all the other settings you would expect from an editing app; exposure, contrast, temperature, shadows, highlights and saturation being the main ones I use. But the thing that makes my life so much easier, and the reason I love VSCO so much, is that you can save what they call “recipes”. This means that if you like a certain combination and want to use it regularly, you can save it to quickly and easily use in the future. It also makes keeping all your images consistent and “on brand” a million times easier! Even after the recipe has been applied, you can still edit and customise the photo like usual. It just means that if you have a certain style that you want to edit you photos in, you can save yourself some time and turn it into one click – rather than several. These days VSCO is the only editing app that I use, as I find it much easier than Photoshop and Lightroom. Plus I no longer have access to those as my free student subscription ran out when I enrolled onto my Masters. I’ve tried a lot of different ways to take and edit my photos over the past two years, most of which I’ve hated which is why I never really posted on Instagram much. But now I think I’ve finally found a style I love and that reflects me as a creator. What do you use to edit your blog photos? "5 Simple Ways To Increase Your Blog Traffic Using Pinterest"
Your photos do look great! Thanks for your tips! I prefer editing my photos on my laptop, since it has a bigger screen. I absolutely love VSCO! It’s such an amazing app! I love the filters too! Thank you very helpful for me! I am struggling with getting my pictures to post when I share, maybe this will help! Very helpful post. I always loved your photos as they are warm and give away a cozy feeling. I use light room and edit them on my laptop because I love to play with them on a big screen. I think I never fited in to a “normal” blogger photos because I love colorful and bright photos. It is, I wish I’d found it when I first started blogging! Okay I embarrassingly have this app on my phone but have never used it! Ha ha. I am definitely going to be playing around with it today. It’s incredible what just a little editing can do to your pictures! Truly lovely pics and your feed has a warm, welcoming feel. Just shows – be true to yourself!